The EX 21 CF affordable fishing pontoon boat by Starcraft offers everything you need to get in on the fun. From recessed speakers to thoughtfully planned carpet and vinyl flooring, the EX 21 CF proves that good looks, generous comfort and great performance can all be found at a great price. You'll wish the ride would never end. 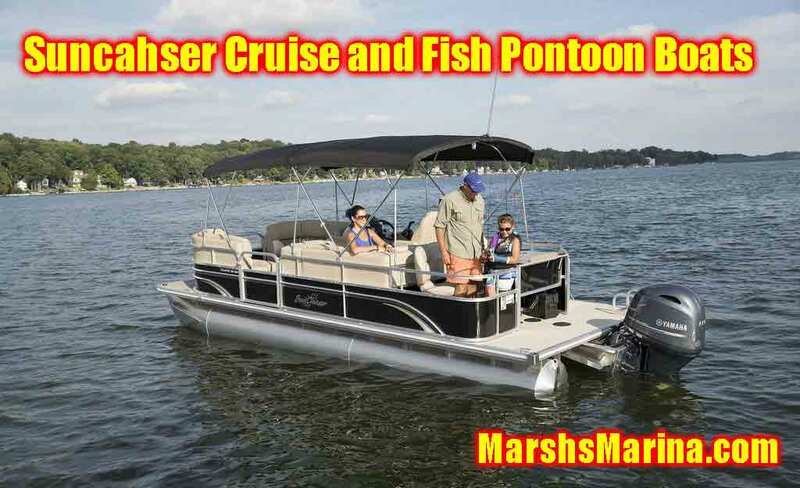 Finally, a pontoon that sports the features of high end models but without the high end price. 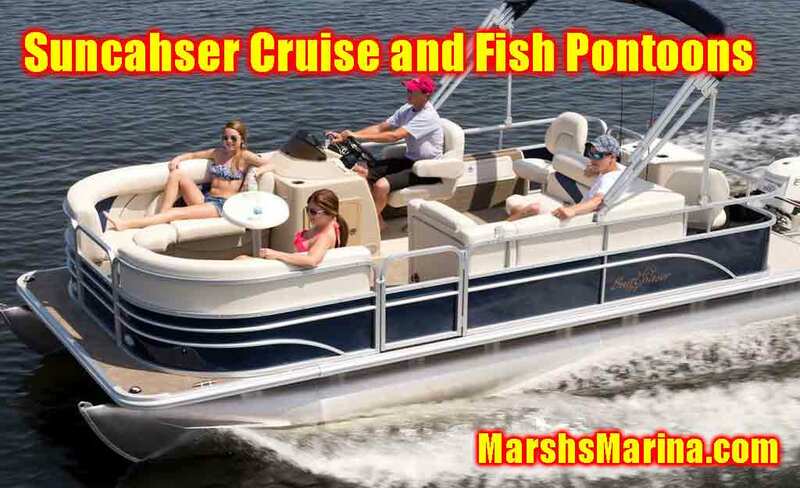 Rounded bows, custom molded dashes, comfortable L-group seating, anodized rails and plush 22-ounce carpet are just the beginning of a long list of features found in the cruise series; and, of course, SunChaser cruise models are so much fun to drive you'll wish the ride would never end.